I thought it would be nice to have a little adventure in the countryside to see what nature I could snap! I really wanted to capture some photography of Deers in their habitat, so made this my mission for the day! I wondered around Wollaton Hall in Nottingham, as I knew this was home to many Deers but it seemed they were nowhere to be seen on the park. But they where soon spotted in the golf course near the park, this raised a bit of a quest for me as I couldn't shoot in the golf course. So I had to try and capture my photos from the sidelines behind the fence and just hope a Deer would wonder insight, after much searching and waiting around I finally found a beautiful young buck with many Doe! They are such amazing creatures, after I got the photos, I couldn't help just standing and watching them graze. While wondering the park looking for deer, I thought id visit the miniature world with my macro lens, I found a few water droplets on a blade of grass which I thought looked interesting, I love photographing with a macro lens it shows the tiny details of beauty usually unseen by the human eye! 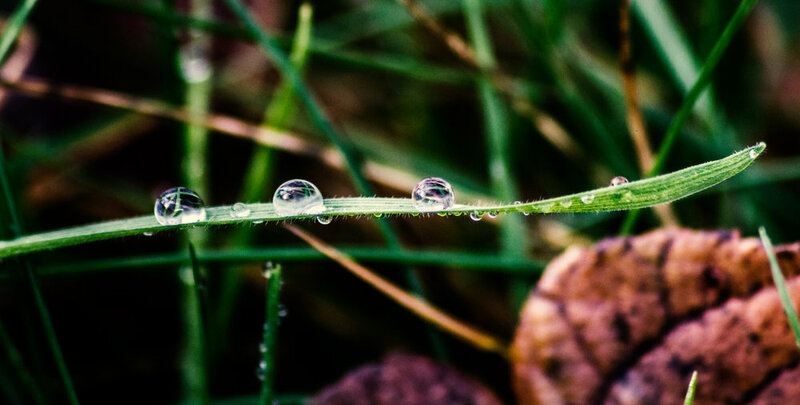 Water Droplets On A Blade Of Grass!